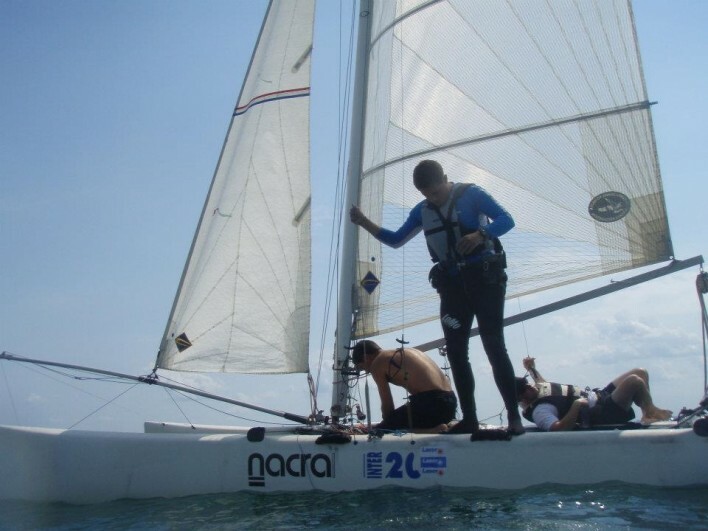 Famous Nacra Catamaran, this boat is fast and stable. 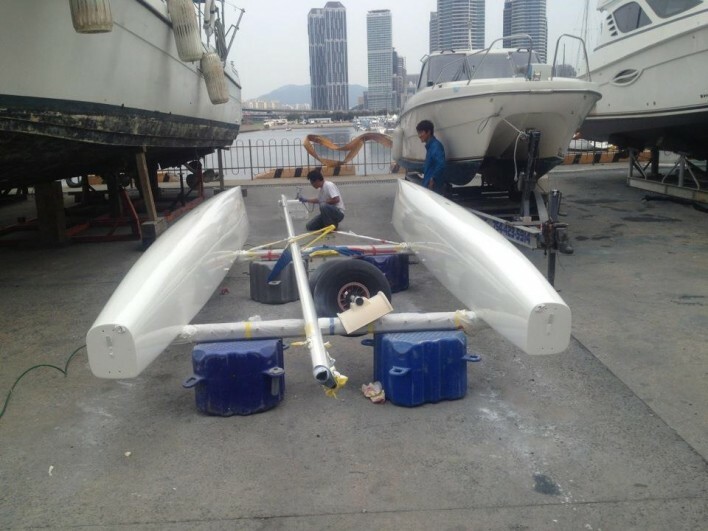 Many new upgrades to keep this fast boat sailing fast! All new rigging for the carbon fiber mast! New halyards, sheets, and spinnaker, restitched trampoline. Brand new paint job for the hulls in 2013. This boat has been well loved and will be missed. Package includes everything needed to get on the water, Jib, Mainsail, spinnaker, spinnaker snuffer system, beach dolly, spare pins and rings, and trapeze harnesses all included. Willing to give sailing lessons upon completion of transaction. The yacht is CE Class B rated. 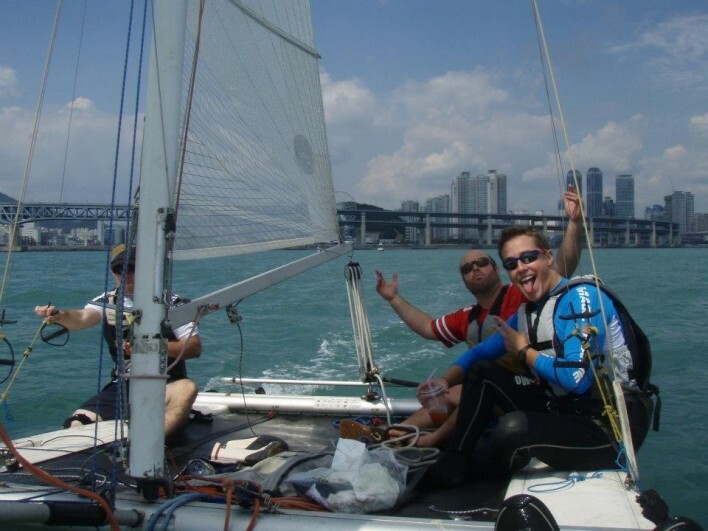 Turn heads on Haeundae beach, sail past everyone in Seoul, there is no boat faster or more fun than this one in Korea!